Whether you’re looking to drive home a new or used vehicle, take advantage of our easy financing options at Bathurst Honda! It’s simple, apply for financing online or visit us in-store and receive a fast, confidential response from us. Our car loan specialists will review your application and present a tailored range of financing options available to you. We’re always on hand to answer any questions, so don’t hesitate to ask! 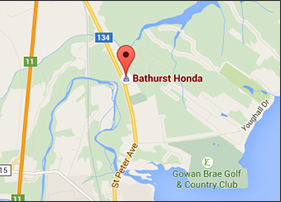 At Bathurst Honda we have one of the highest credit approval rates in the country, making your next vehicle purchase accessible to you. We respect your budget entirely and will provide thoughtful advice on the best vehicle choice and payment options for you. If you have experienced financial difficulties that have affected your credit rating, we invite you to consult our "Rebuild Your Credit" section for advice on how to get back on track.